In the obstacle course racing world, Tough Mudder is one of the big boys, in terms of the size of the events and the number of races that are put on each year. Not only are there Tough Mudder races in just about every state, but you can also find events in Europe, Asia, and Australia. 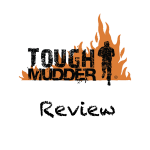 Tough Mudder began in 2010, and quickly established itself as one of the premier OCR race series. Rugged Maniac doesn’t have the size or numbers that Tough Mudder, but what it does it does well, which is pack a ton of fun and challenging obstacles in a 3 mile race. The Rugged Maniac courses are usually on ski mountains or race tracks, which always add to the excitement of the races because you get to do something crazy in some really unique venues. There are a lot of similarities between Rugged Maniac vs Tough Mudder, but there are also a lot of things that make them stand out from each other. Below, we found some key information that will help you prepare, whether you’re an OCR pro or a first time racer looking to get their feet wet (or muddy!) when one of these races comes around. 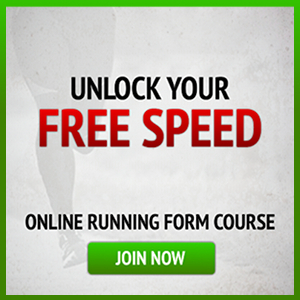 Before you hit the starting gate, you should know what you’re getting into. Rugged Maniac is a better race for people who would want more obstacles and less running. The races are always the same distance — 3.1 miles. Tough Mudders have multiple distances, as well as a few “special” events each year that are timed races. The World’s Toughest Mudder, for instance, is a 24 hour race where participants complete the same 5 mile course as many times as possible within that time frame. The two most popular distances for Tough Mudder are five miles, and 10-12 miles. Tough Mudders average about two obstacles per mile, whereas Rugged Maniac averages about eight per mile (though many of them are grouped close together). In most Tough Mudder races, obstacles are not mandatory. If you are afraid of heights and don’t want to take on an obstacle like “Kong,” which require you to swing on some suspended rings from one platform to another, you can simply skip that obstacle. The idea of Tough Mudder is to just get out there and finish; participants aren’t even timed so no one really “wins” a Tough Mudder event. Rugged Maniac is a race, where runners are timed. Rugged Maniac also has a mandatory obstacle completion rule for anyone in the competitive heats, and anyone unable to complete an obstacle is not eligible for podium positions. 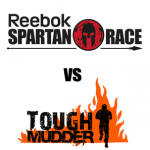 Both Rugged Maniac and Tough Mudder come in at the lower end of the price scale in the OCR spectrum (some Spartan Races and the OCR World Championships cost more than five times some Tough Mudder vs Rugged Maniac races). For both race series, there is a tiered pricing structure that allows for a lower price if you sign up further in advance of each race. Both races are great options, whether you are new to OCR or looking to explore different events within the sport. Tough Mudder has more of a “fun-run,” community feel where everyone will help each other over obstacles and the goal is to get out there and do something new. The competitive heats introduced in recent years have a more cut-throat feel, but other than the elite runners, everyone is still out there to have fun and finish. Rugged Maniac has more of a race reeling, and the after party is as good as any race series out there today. Since spectators are free, the central area around Rugged Maniac is like a big college party! 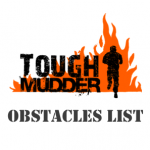 These events are perfect for people looking for more of a challenge on the obstacles (and don’t want to run 10+ miles). Both are a ton of fun, and both have top-level athletes mixed in with everyday people who are looking to have fun and push themselves. You really can’t go wrong with either, but depending on what your strengths are and how seriously you want to take the event, one might be a better fit than the other. 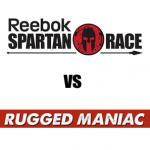 I was looking for races like Tough Mudder (that are not Spartan) and Rugged Maniac looks like a legit alternative. Thanks for the info!